Happy Monday blog peeps! Hope you had a good weekend? 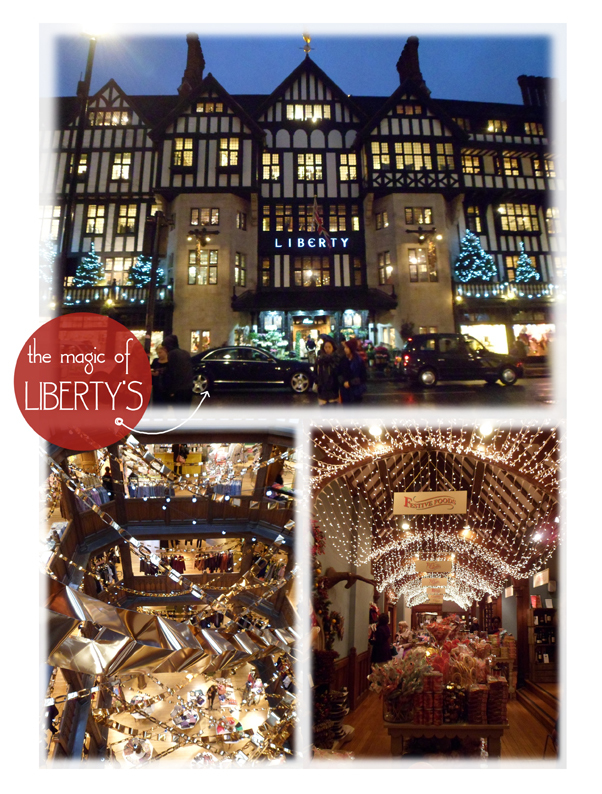 So as I mentioned in my First Aid Kit post last week I was in London and so of course it being Christmas time I had to stop by the beautiful Liberty's. Every year the store is transformed into a Christmas wonderland with every surface covered in fairy lights and sparkle, it is a truly magical place...even more magical for me because they had a pop up RE shop! I'm sure I have waffled on about RE before so I won't bore you again, just to say that RE sells a lovely mix of vintage, re-cycled, re-loved and up-cycled products that I know you will all drool over...lucky for us they have an online shop here so you can see what all the fuss is about! 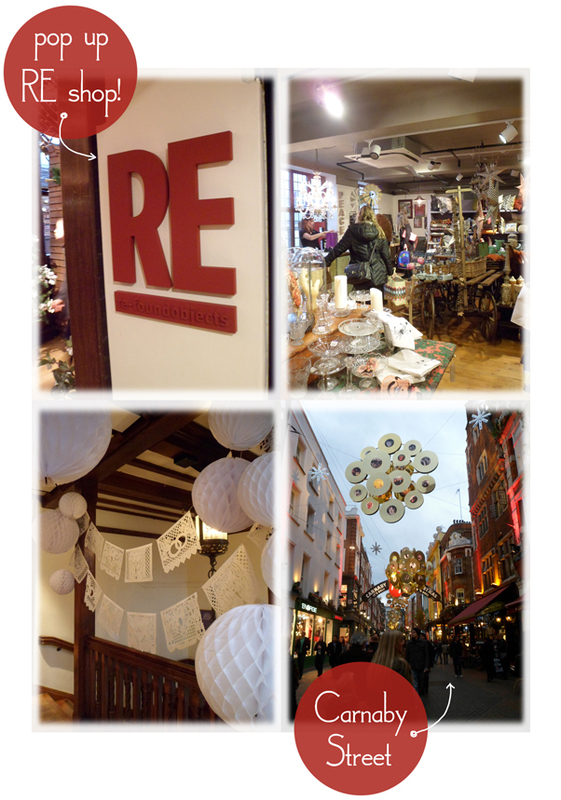 I am particularly drooling over the big white paper baubles in the bottom left pic...and they were very reasonable too!